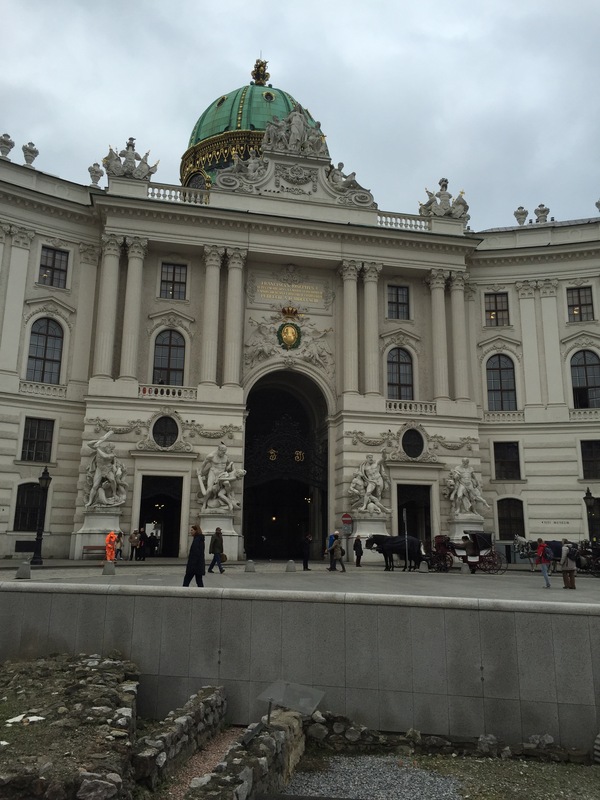 Viking Var, Day 5 … Vienna was once the seat of the Hapsburg Monarchy, and the center of the Holy Roman empire. 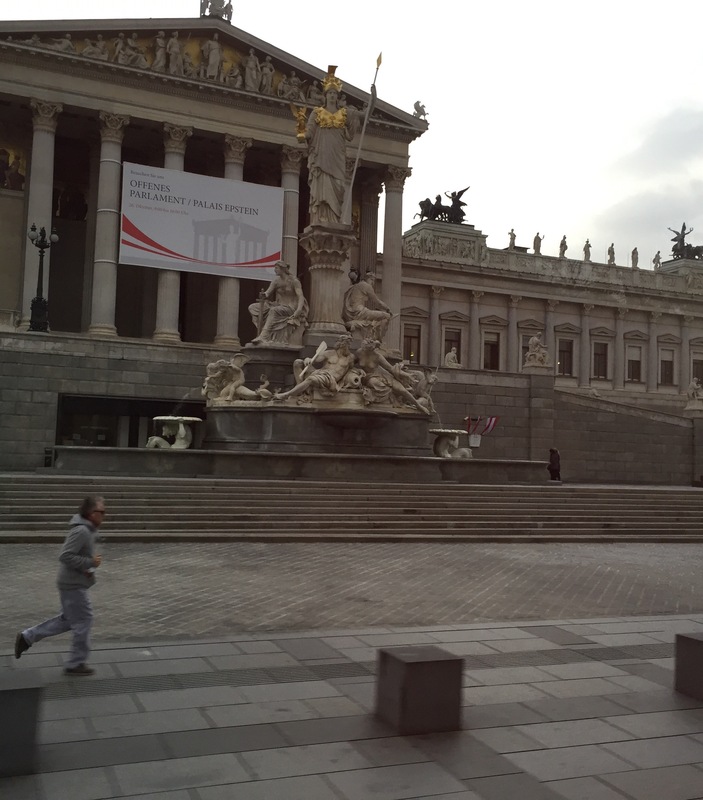 Vienna was the leader in music, art, architecture and the Capitol of Austria. 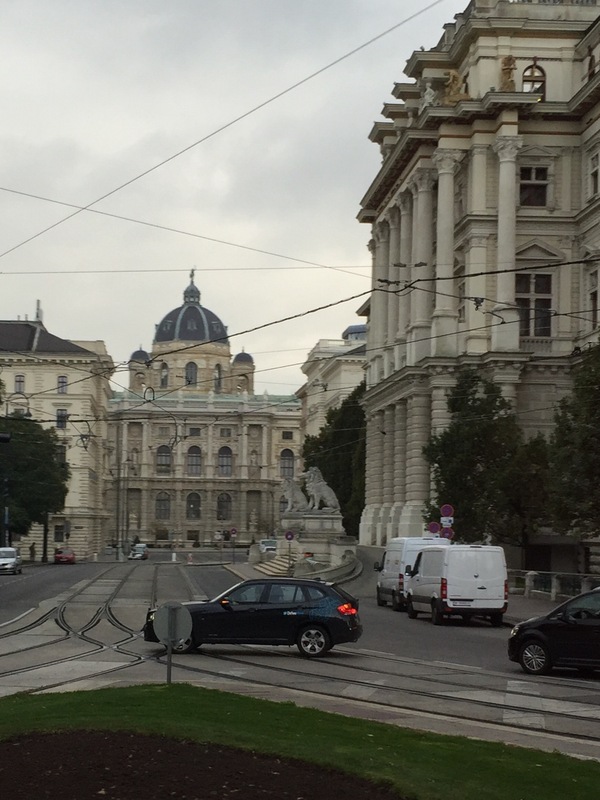 Sigmund Freud, Mozart and anyone who was anyone in the (classical) music world stayed or played in Vienna. 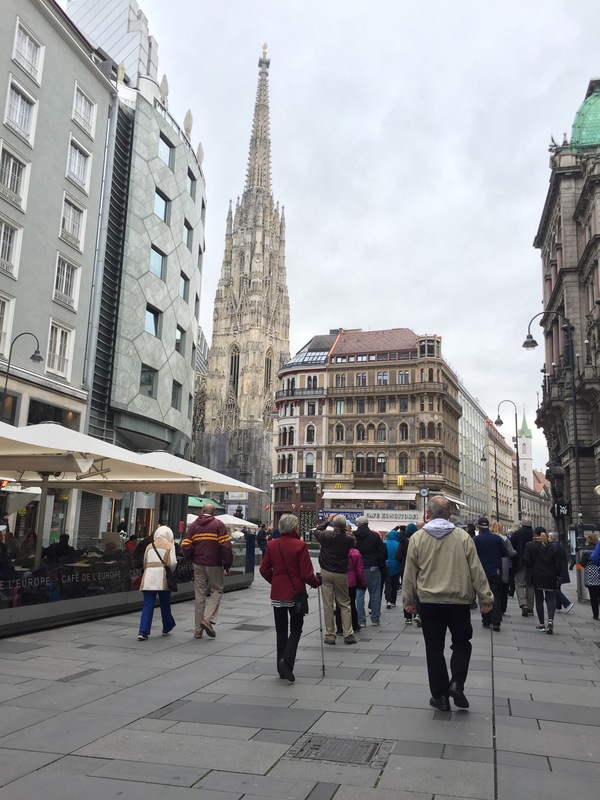 Today, Vienna is known for architecture, museums, schnitzel, coffee houses…and tourism. 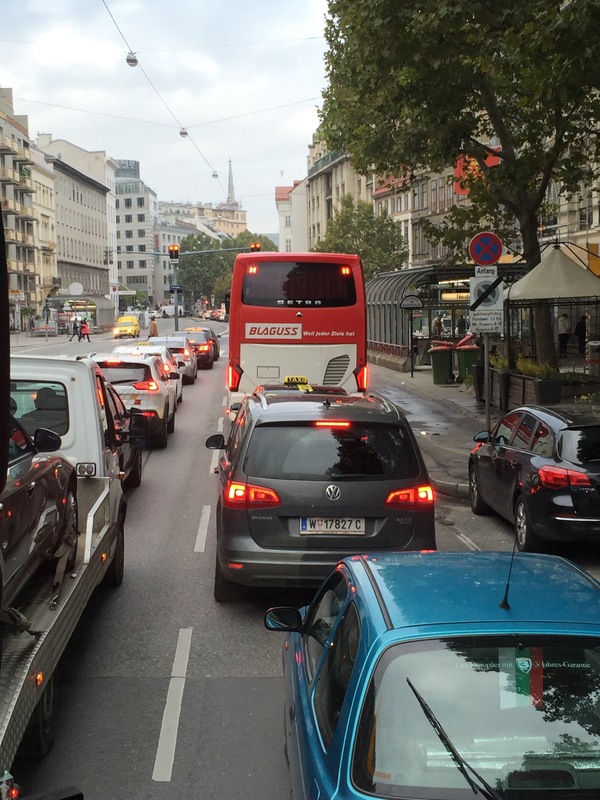 Our tour started off on a bus tour of the city, and during work rush hour. 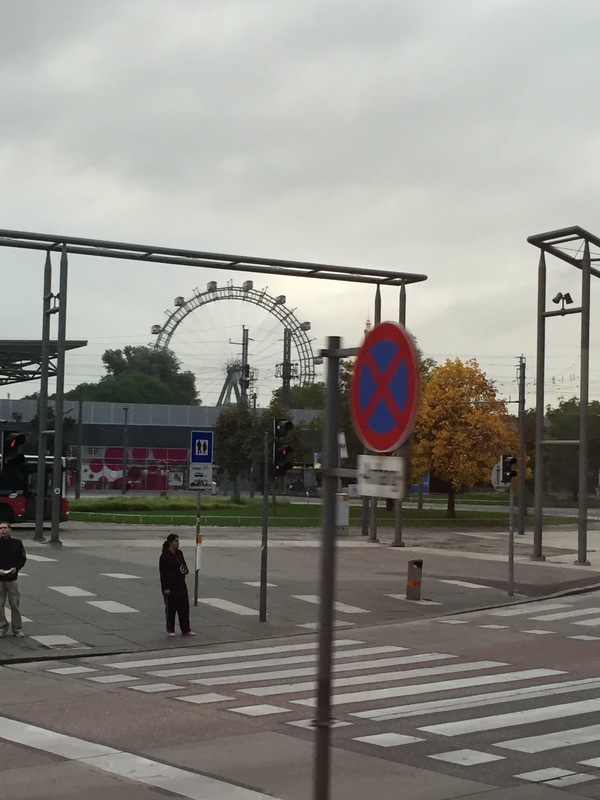 While driving the main boulevard to the city center, our first glimpse of the city was the Ferris Wheel which sustained damage during the war. It was restored but not to its fullest glory. Only a few carriages were repaired but it still runs. 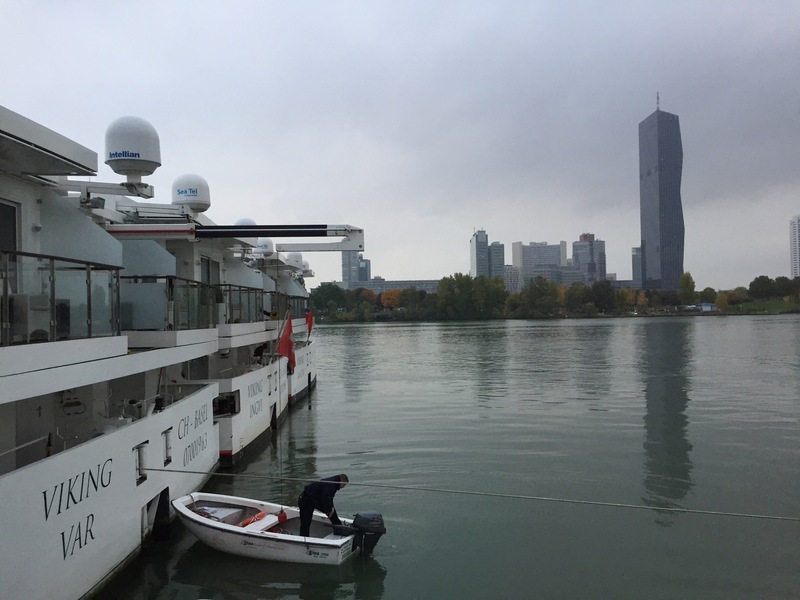 It was recently featured on the tv show Amazing Race as one of the challenges. 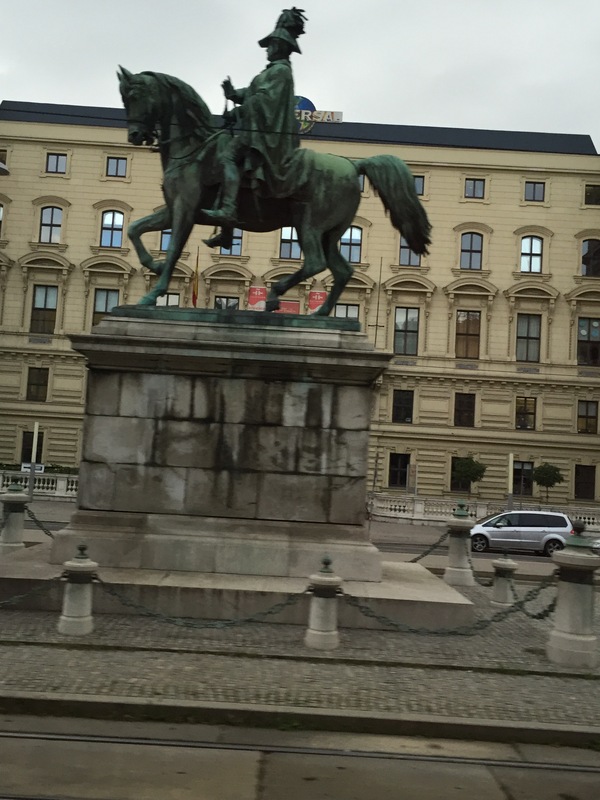 The bus drove us around the city where we saw a lot of churches, statues and government buildings. 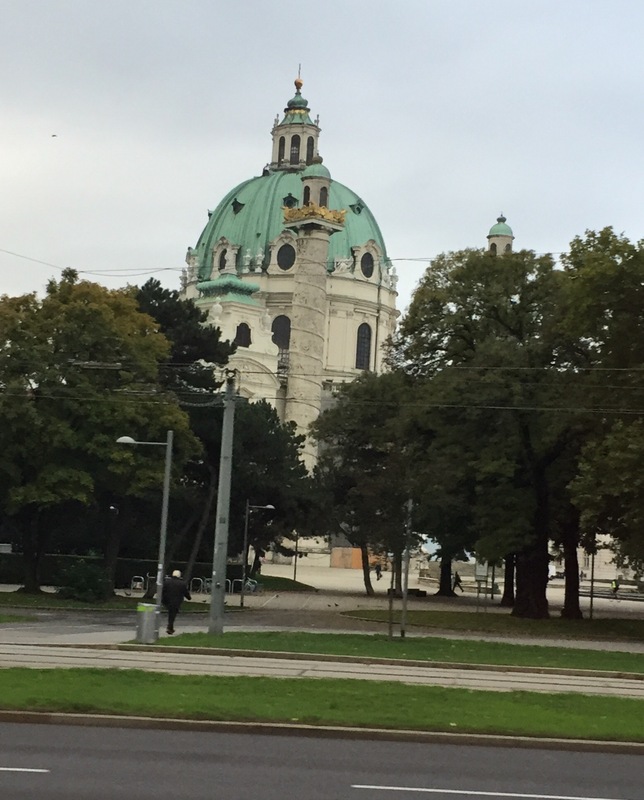 The hard part of touring a city in a bus is the tour guide quickly tells you here’s this building and here’s that building. 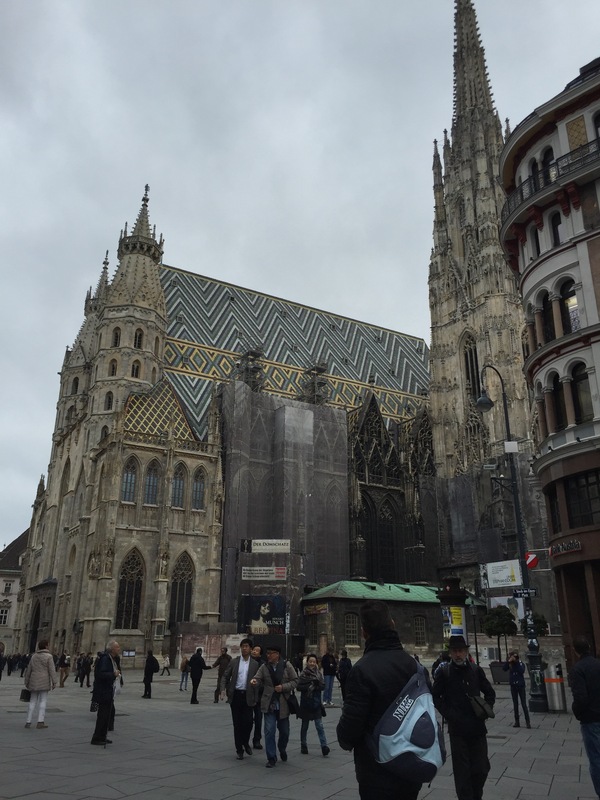 The guide said that Vienna is known for architecture, but is also a city which copies a lot of other cities. 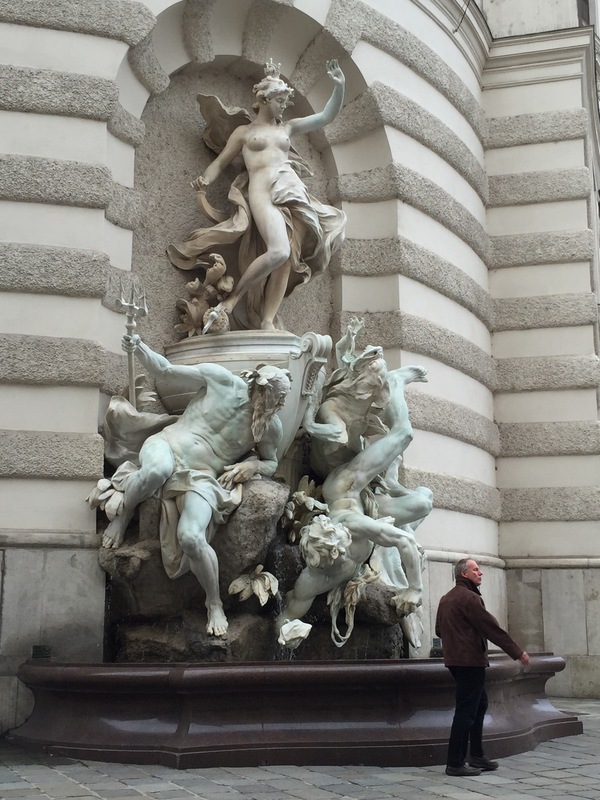 Our guide pointed out that the styles have perfected other cities styles, and made it their own. 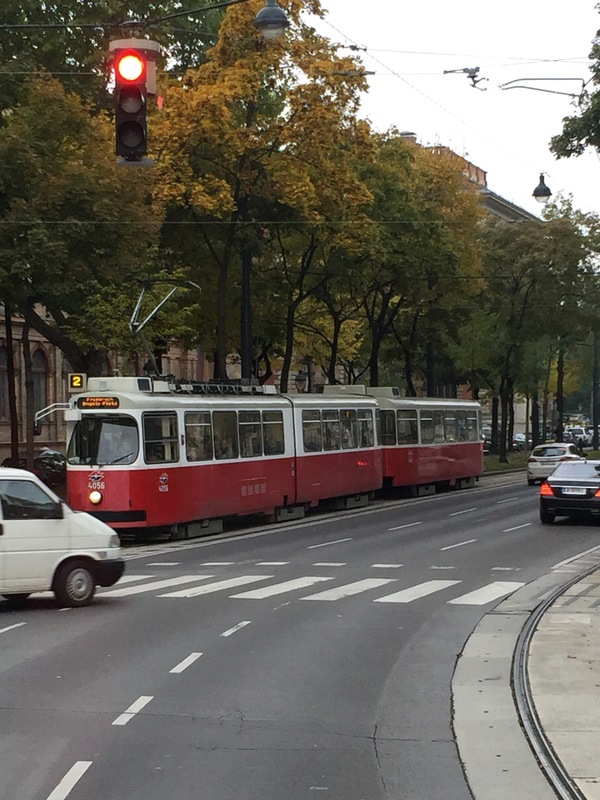 An old original, restored street car. 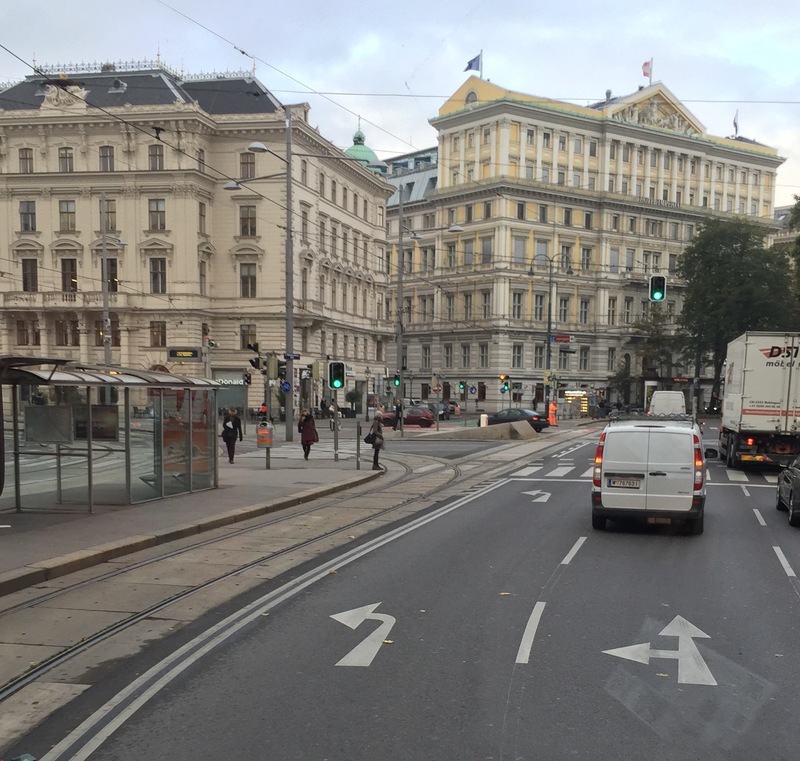 The bus part of the tour ended at the Maria-Theresa platz, where we then crossed the street to the Heroes Plaza for our walking tour. Coincidentally they were preparing for their Remembrance Day and soldiers were there with military vehicles. 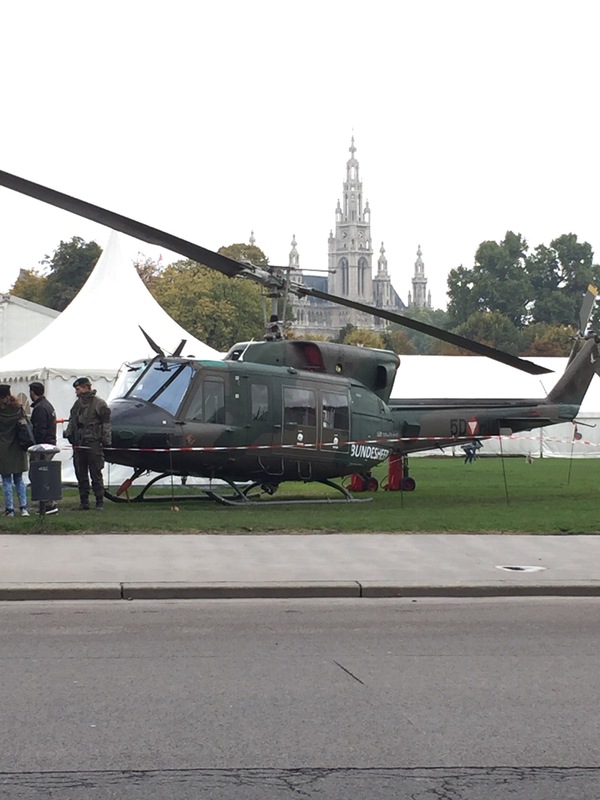 We were told that military presence is not the norm, nor are the military vehicles scattered around the plaza. Maria Theresa Walburga Amalia Christina was the only female ruler of the Habsburg dominions and the last of the House of Habsburg. 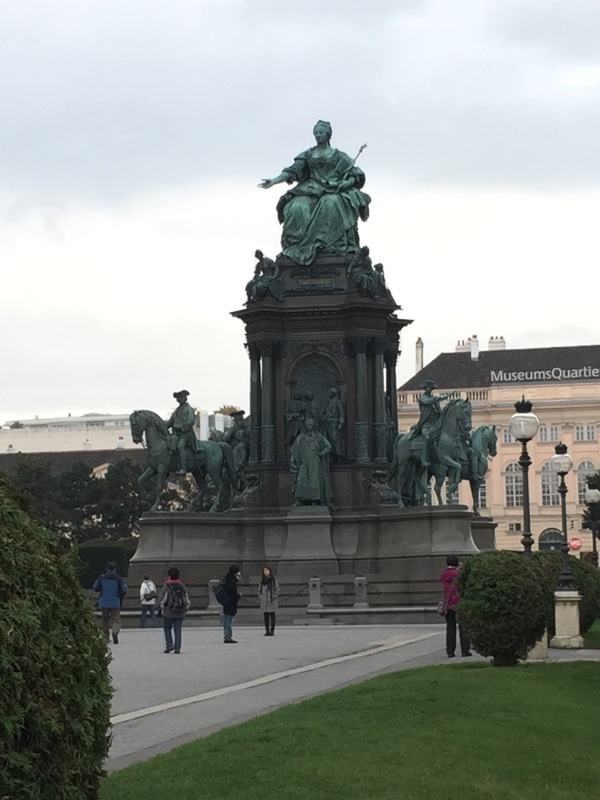 Maria Theresa and her husband, Francis I, Holy Roman Emperor, had sixteen children, including the Queen of France, the Queen of Naples and Sicily, the Duchess of Parma and two Holy Roman Emperors, Joseph II and Leopold II. Out of the sixteen, nine of them did not make it to adulthood. She had eleven daughters, ten of which were named Marie, and five sons. Maria Theresa’s youngest daughter, Maria Antonia (better known as Marie Antoinette), married Louis, Dauphin of France, by proxy in Vienna. 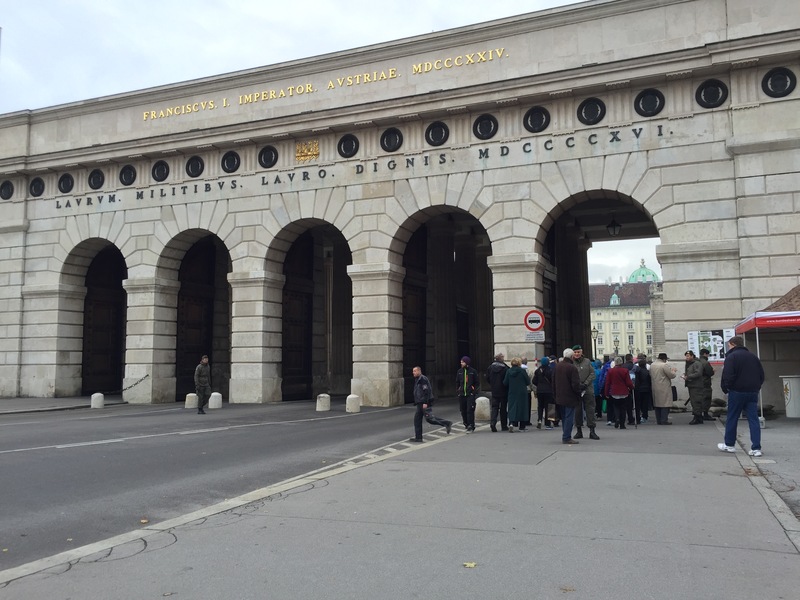 We left the government area, went out of gates, crossed another street, and entered through an alley to the famous Spanish Riding school (Spaniche Hofreitschule). 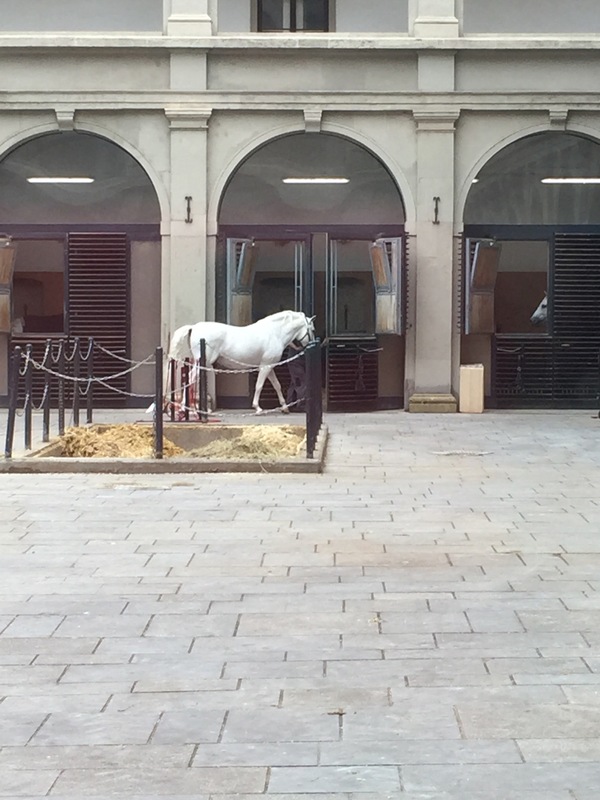 The stables were behind glass, and we caught a glimpse of one of the beautiful white horses being taken back to its stable. 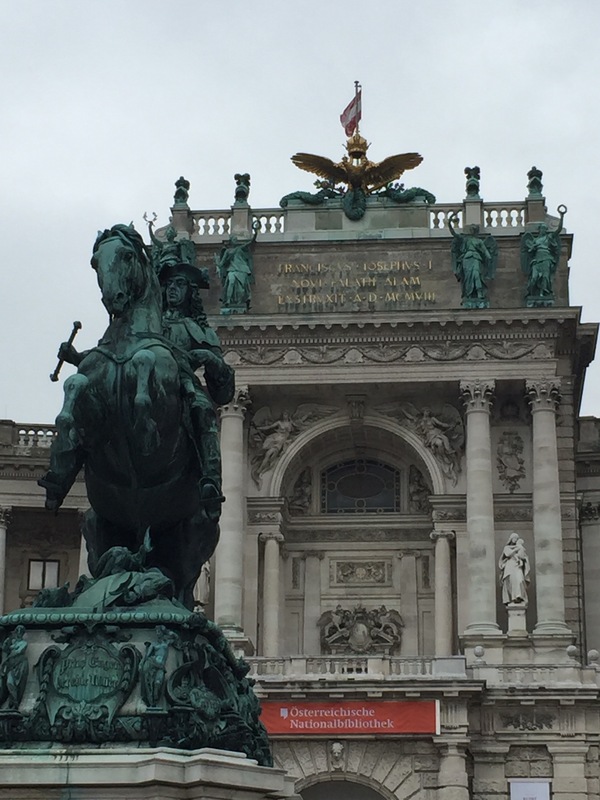 The tour guide didn’t let us stray too long and moved us from the Spanish horses, onto Michaelerplatz,one of Vienna’s most famous squares, thanks to its proximity to the Hofburg, Vienna’s imperial palace. 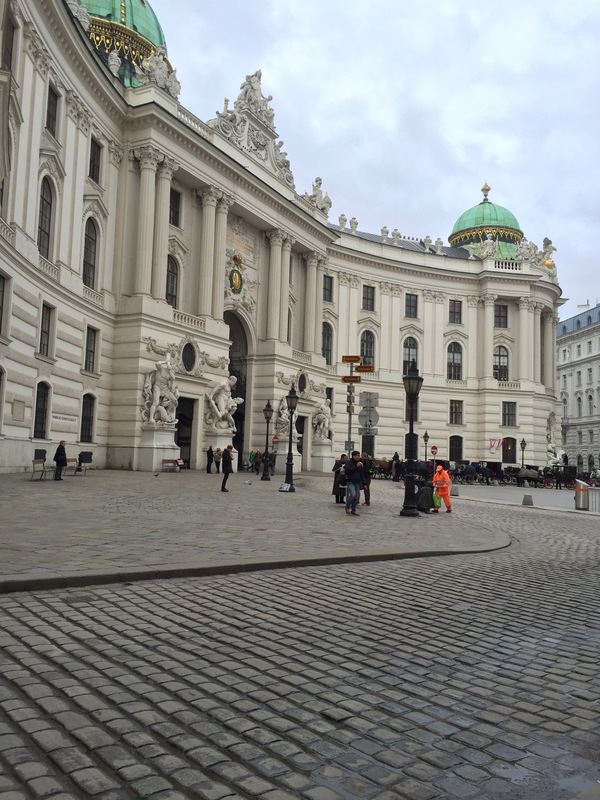 Michaelerplatz is dominated by the impressive neo-Baroque Michaelertor, the entrance gate to the Hofburg. Excavations at Michaelerplatz unearthed remains of a Roman house as well as some medieval foundations and remains of the former Burgtheater. The ruins are now exposed and can be seen from street level. 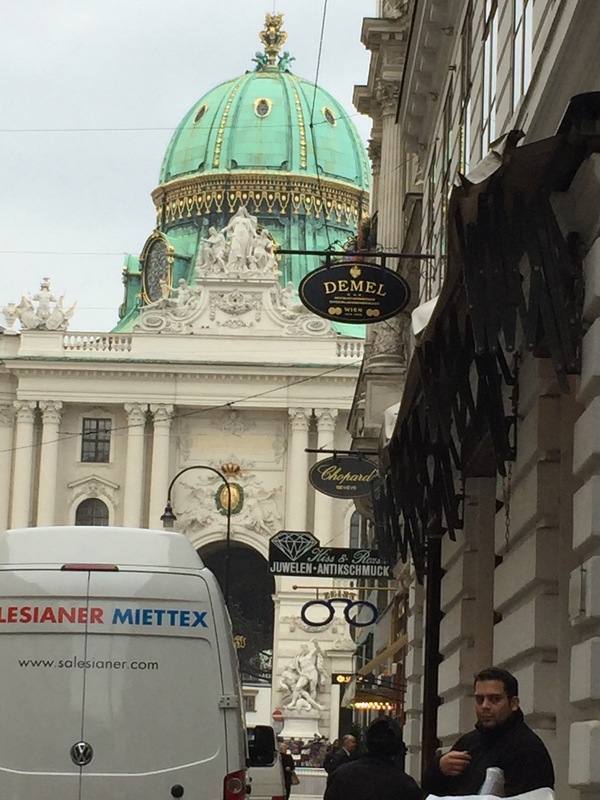 We crossed the busy street onto a pedestrian street which housed big name stores from Hermes, Cartier, Louis Vuitton and patisserie Demel, the famous rival of Sacher-Torte to the Sacher hotel. 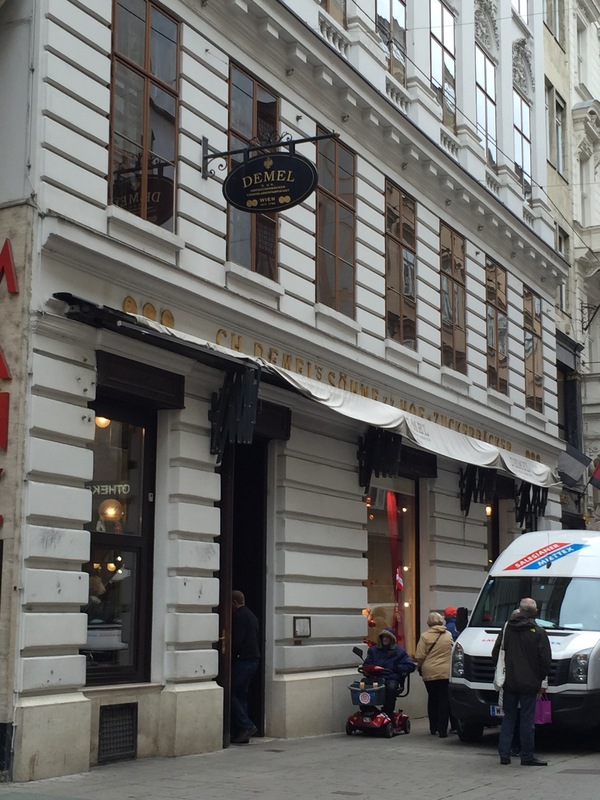 Demel’s claim to fame was that Empress Sisi liked to indulge in the sweets that were made at the K.u.K. 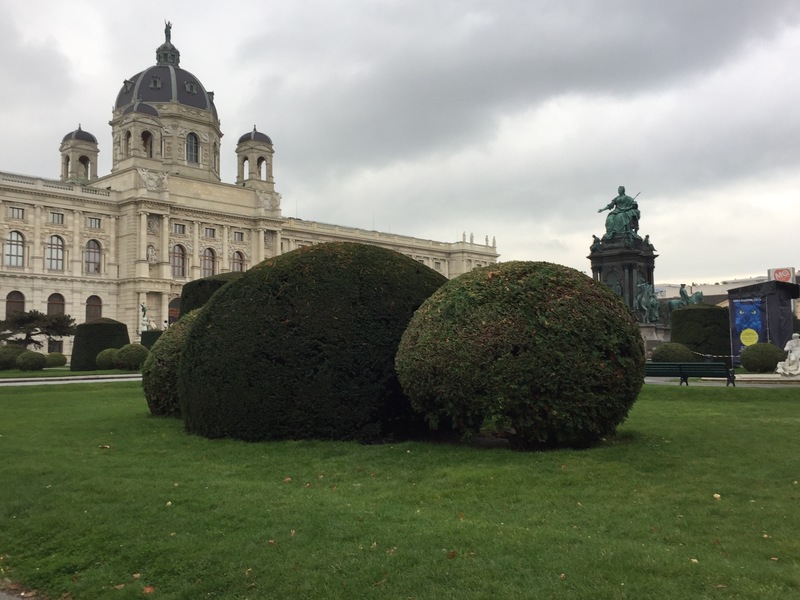 (‘Imperial and Royal’) Court Confectionery Bakery, she got Mr Demel himself to personally deliver the candied violets that she so loved, amongst other things, to the royal court at the Hofburg. 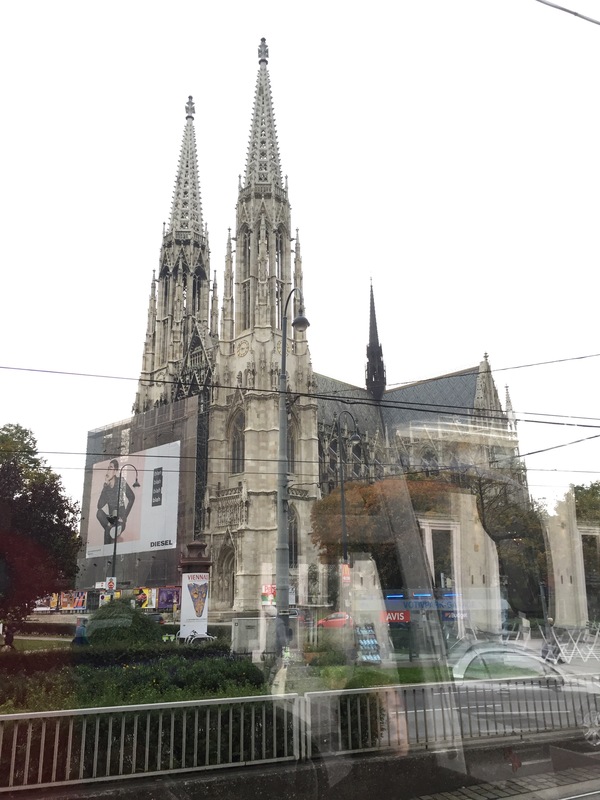 Our very quick tour ended at the St. Stephen’s Cathedral. 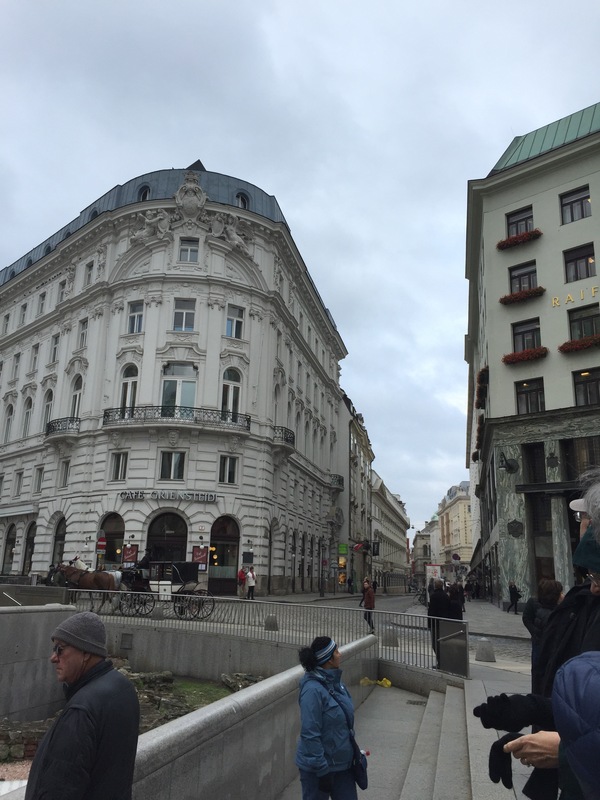 It wasn’t the most informative tour we’ve taken, but we had a quick overview of Vienna. 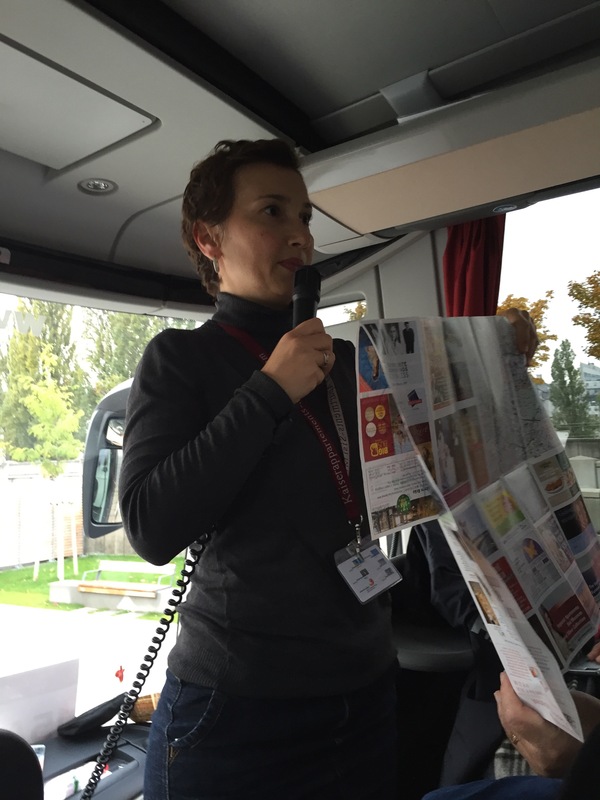 Our guide gave us 1/2 hour to meet up if we wanted to take the bus back to the shop. We chose to stay and explore on our own.